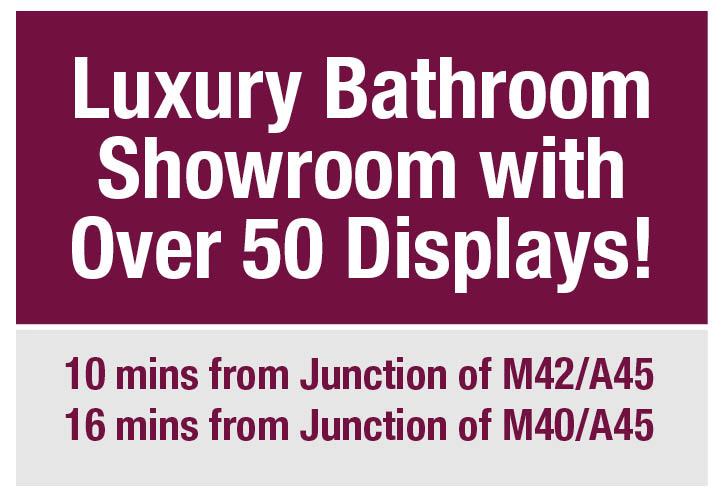 Looking to design your new bathroom? There are many ways to approach it. 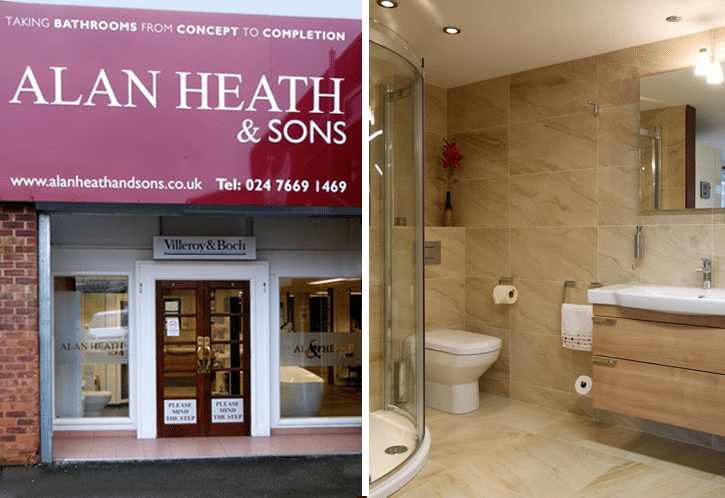 At Alan Heath and sons we’ve been creating fabulous bathrooms for over 40 years so we’ve got some great insights into what works, and what doesn’t. Firstly, get your bathroom measured up and create a top down floor plan to work with. This is a great starting point and gives you a better way to visualise how it will work. 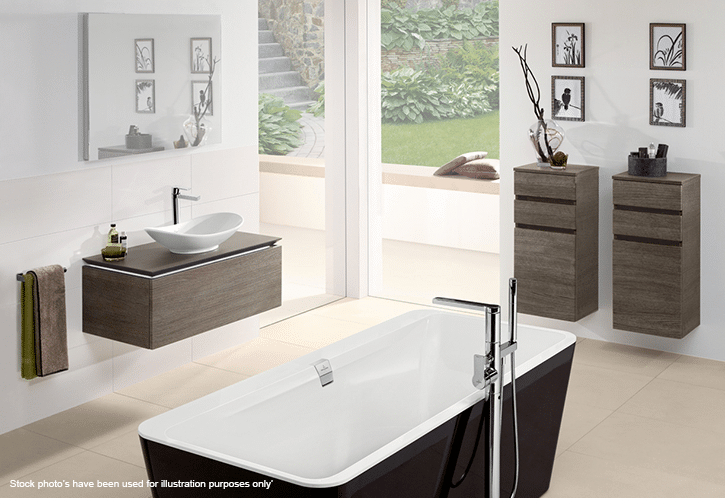 Working with this you can then lay out where you want and need certain components of the bathroom. One key area of your bathroom is the flooring. There are many types of flooring to consider including engineered hardwood, ceramic or porcelain tiles, natural stone tiles, and vinyl. You need something hardwearing that can cope with the traffic, the moisture, and the spillages. You can find some more in-depth ideas and tips here. 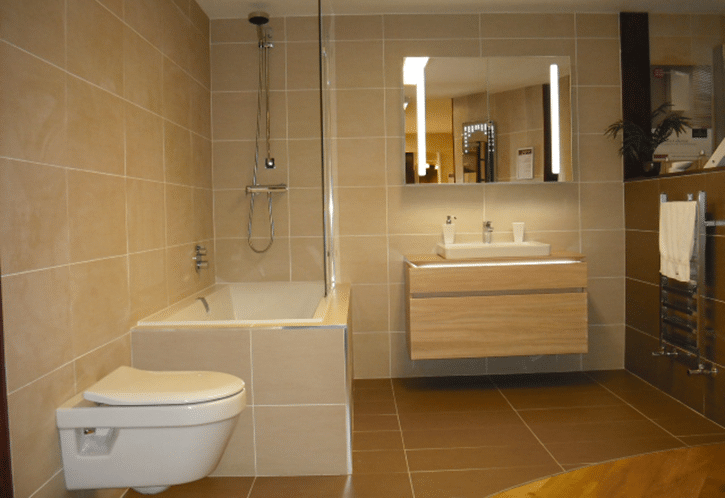 A few simple considerations are the type of heating you’re going to have as underfloor heating requires a different approach, and then also the design and style of your bathroom. Tiles can be matched, styles complemented, and size of the room considered. 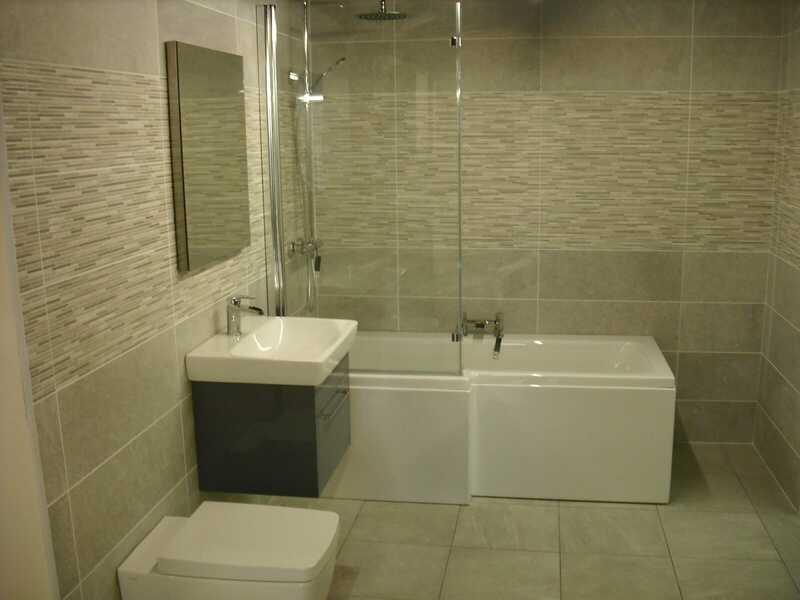 Large tiles can help you create the illusion of space in a smaller bathroom. Before you put anything into your bathroom you’ll be working on the unseen areas that make or break good design. Heating and ventilation is essential and part of your planning requirements so worth consideration. Fans vary, heating comes in many shapes and sizes and depending on the layout you may want to move ventilation or heating as long as the room can accommodate it. Will you want a heated towel rail that acts as a radiator but keeps your towels warm? You’ll also need to consider where you place your suite, your lights, switches, and any other electrical items like wall cabinets that require power. There’s nothing worse than buying a beautiful lit bathroom mirrored cabinet only to find that you have no power supply! The wiring and pipework will need planning and will go down and in before the cosmetics. Working out what’s possible and how much work is involved to move pipes and add more electric feeds is an important part of planning a bathroom. This is usually dictated by your soil (waste) pipe. In most cases, you’ll find it much easier to leave your toilet where it is. Moving the soil pipe is costly and although not impossible you are limited to your options. That said, although it can be costly to move the WC, quite often it isn’t in the grand scheme of the design and even moving it a few inches can sometimes make all the difference. Space saving ideas come into play here and from floating units to removing pedestals and hiding pipes and more, you’ll find a lot of advice on this blog. But planning where it all goes can often get missed. A bathroom that works well is more loved and makes the room a calming, peaceful sanctuary. 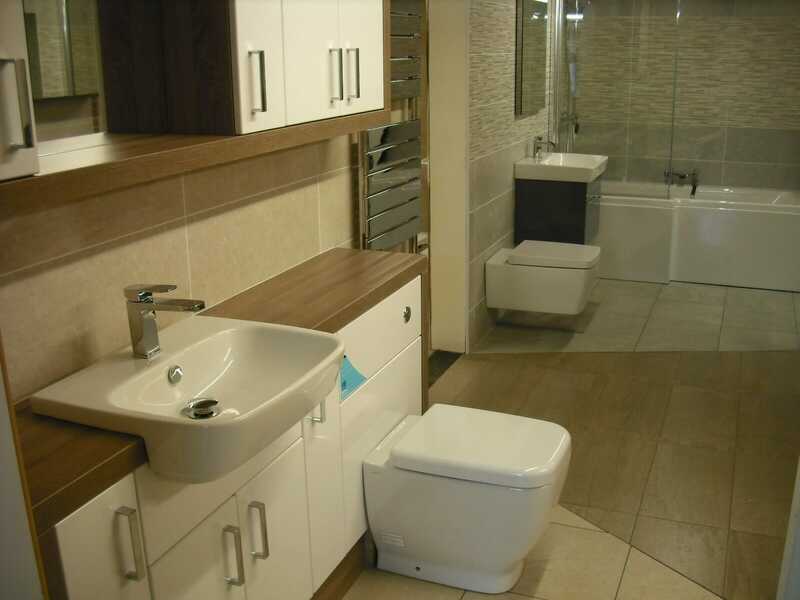 Good storage, good sanitaryware, and suites that fit and work so well they almost blend into the room seamlessly are your aims. We can’t reiterate this enough. Good storage is essential. Nothing ruins a new bathroom more than poor storage that leaves your items strewn all over the floor, basin, windowsill and more. Use the height of the room, use vanity units, and use the design and layout to give you more storage options. Trust us, an organised bathroom is a tidy one. We design all our bathrooms in CAD (Computer Aided Design) as this gives us the ability to be really creative and move scaled objects around a room. You get a 3D view to look around, which our customers tell us is really useful. But… you do need to have a good understanding of bathrooms and consider the points above. Pipework, wiring, ventilation, and real life testing needs to be considered here and just plotting the areas in CAD isn’t always enough. Our advice is always to get a professional designer to create your bathroom for you once you’ve created the ideas and worked out what you think would work well for you. Need more help? 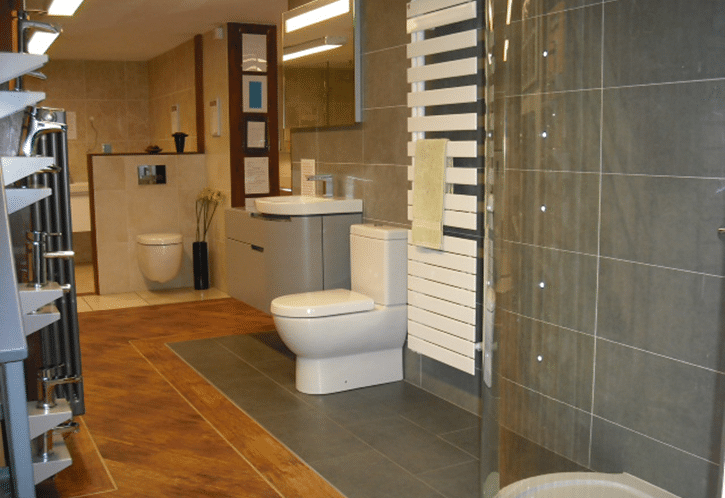 Pop into our Coventry bathroom showroom and we’ll talk to you about your design. We love creating dream bathrooms. Maybe yours could be next.